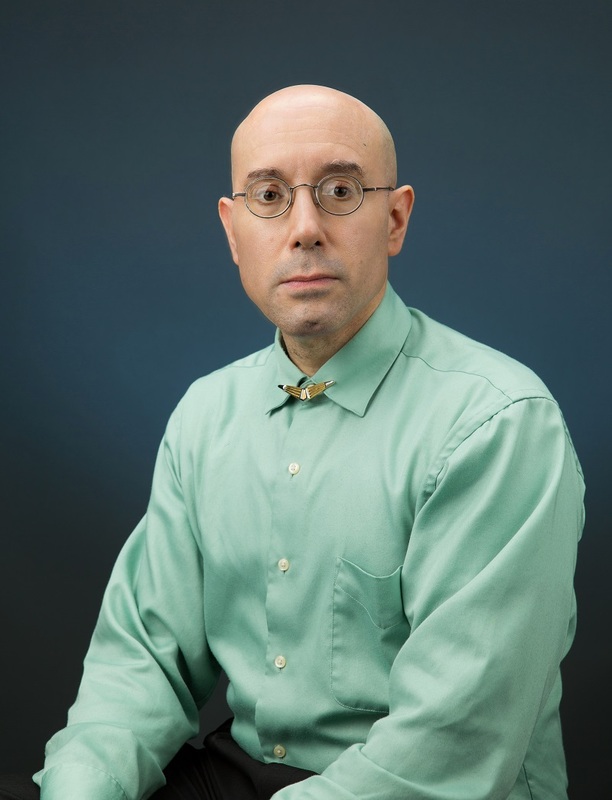 Theoretical and computational modeling of drug and chemical transport through skin is being pursued in collaboration with Professor Johannes M. Nitsche (Department of Chemical and Biological Engineering, State University of New York at Buffalo) and Professor Gerald B. Kasting (College of Pharmacy, University of Cincinnati). This project develops advanced elements for a state-of-the-art mass transport model for diffusion of exogenously applied chemicals through human skin. The model comprises a vehicle (formulation) layer and three skin layers � stratum corneum (SC), viable epidermis (ED) and dermis (DE) � each with a homogenized macroscopic version supported by a underlying microscropic and ultrascopic models. The new elements involve (1) a significantly advanced dynamic analysis of diffusion within the SC including slowly reversible binding in corneocytes, anisotropy in the lipid phase and more concrete representations of the porous pathway; (2) extension of a quantitative diffusion model of the viable epidermis below the SC to include intra- and extracellular protein binding; and (3) a detailed microscopic dynamic model of diffusion within the collagen/proteoglycan matrix of the dermis. 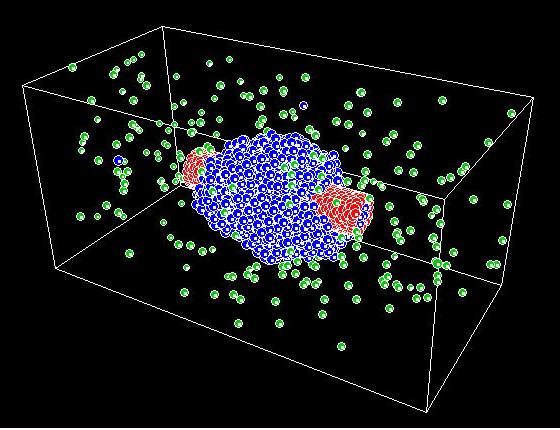 The theoretical formulation of mass transfer and analysis of laboratory data is being advanced with a mesh-free, particle-based computer simulation methodology using the diffusion velocity method (DVM). This has novel elements to treat heretofore unaddressed biotransport phenomena and is particularly well suited to resolving the geometric complexity of skin structures at multiple scales, including computational domains imported from tissue imaging studies. With the technical input and experience of the industrial partner, Procter & Gamble, these elements will be incorporated into an accessible and transparent computational platform that can be understood by the product development, toxicology, and regulatory communities. Stratified epithelia: human skin. Source: Montagna W., Kligman A. M., Carlisle K.S. 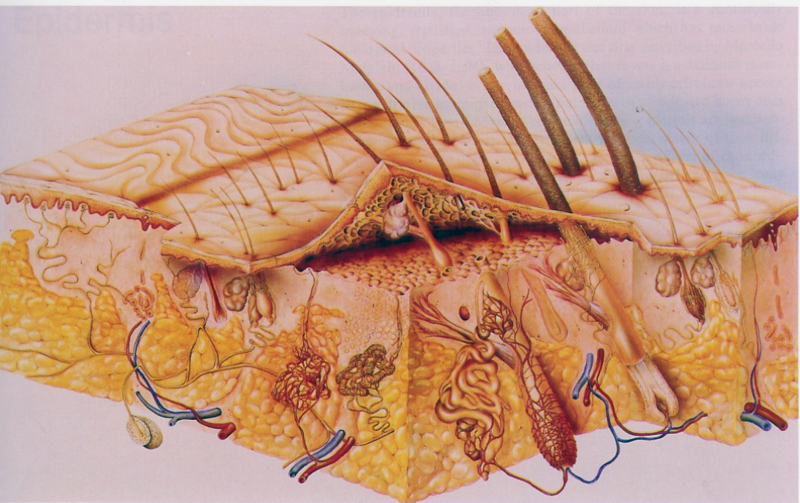 Atlas of Normal Human Skin, Springer-Verlag, New York (1992). 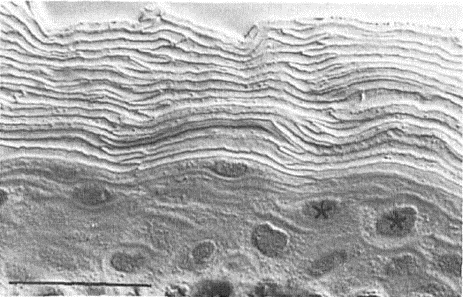 Stratum corneum (SC) barrier layer of human skin. Source: Mackenzie I.C. J. Invest. Dermatol. 65, 45-51 (1975). When visous forces dominate over interfacial tension during sedimentation of drops (the limit of high Bond number), shape instabilites can produce intricate shape evolutions and coalescence/breakup phenomena. 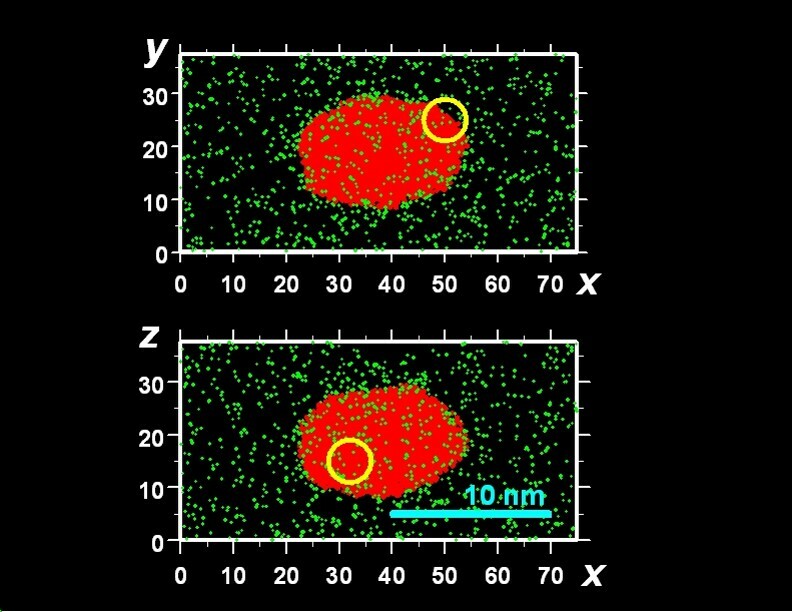 Using a robust, particle-based numerical method, we are able to simulate such processes and work closely with colleagues conducting experiments. Biomedical. (In collaboration with Professor Ying Liu.) Manufacturing of polymeric particles for delivery of multiple drugs with independently tunable sustained-release kinetics. On the long term we envision potentially being able to develop a post-resection cranial implant to provide cytotoxic/anti-VEGF chemotherapy for treating glioblastome multiforme (primary brain tumors). Environmental. (In collaboration with Professor Laura J. Pyrak-Nolte, Department of Physics, Purdue University.) The fate of microparticles and nanoparticles (e.g., resulting from fracking operations) in underground rock, especially fractures. 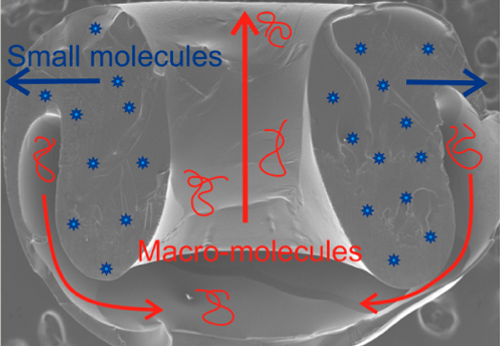 Y. Liu (PI), R. A. Gemeinhart (co-PI) and L. C. Nitsche (co-PI), Toroidal-spiral particles (TSPs) for co-delivery of multiple compounds of different sizes. NSF-DMR Award 404884. Period: August 1, 2014 - July 31, 2017. Budget: $401,373. Motivated by molecular dynamics simulations of nanodrops undergoing shape relaxation/fluctuation and surrounding carbon nanotubes (conducted by Professor Sohail Murad, now at the Department of Chemical and Biological Engineering, Illinois Institute of Technology), this project aims to expand the lengthscales and timescales of computer simulations of small fluid systems subject to sub-continuum effects such as thermal fluctuations. 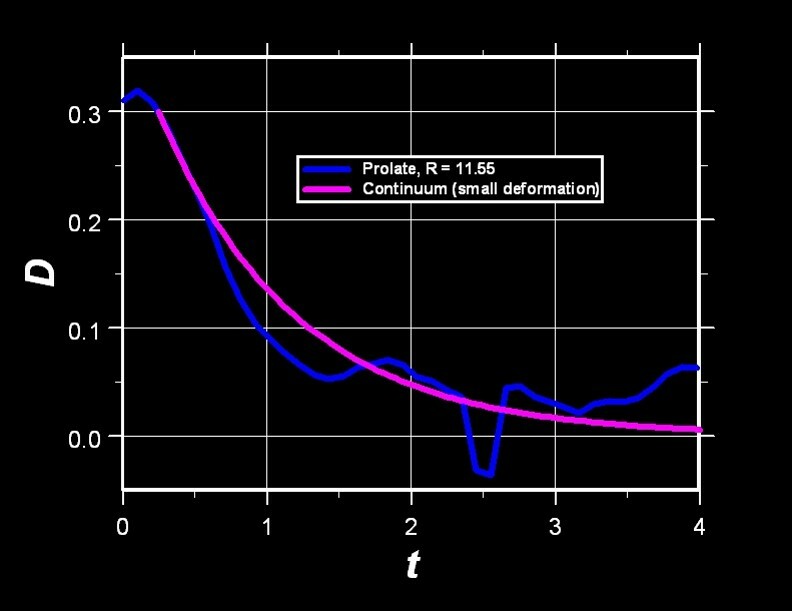 At scales finer then can be modeled by Brownian dynamics, and leveraging the conceptual economy and computational efficiency of continuum hydrodynamics, we explicitly account for fluid degrees of freedom by superposing randomized point impulses that interact through their Green's function propagators in space and time. 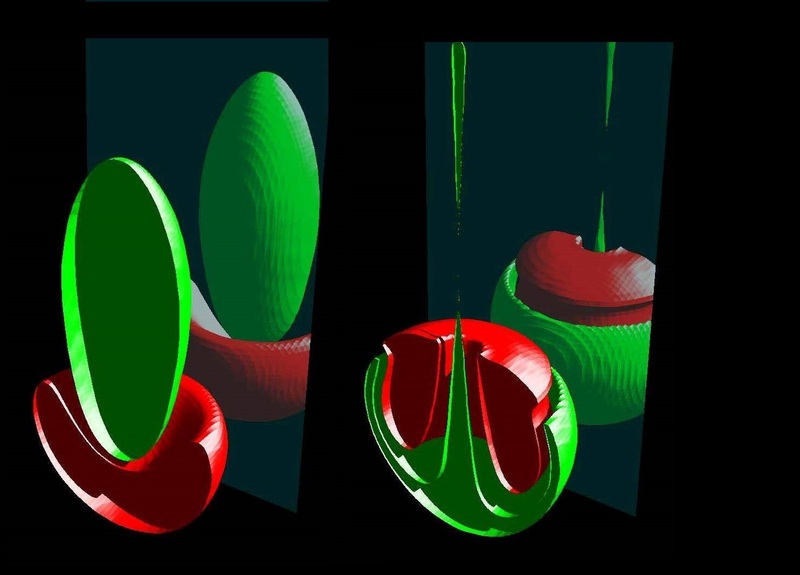 Compressibility effects (i.e., momentum propagating at the speed of sound) cannot be ignored even in ostensibly incompressible liquids.